Sabourin, Diane. "Château Ramezay". The Canadian Encyclopedia, 28 July 2015, Historica Canada. https://www.thecanadianencyclopedia.ca/en/article/le-chateau-ramezay. Accessed 21 April 2019. Château Ramezay, in Old Montréal, was the first building to be designated a historic monument by the government of Québec, in 1929. Recognized as a National Historic Site of Canada in 1949, it is now a museum with permanent collections and temporary exhibits where visitors can learn about over 500 years of Montréal’s history. In 1705, Claude de Ramezay, the governor of Montréal, acquired a large estate and decided to build his home on it. The honour of designing and building this sumptuous dwelling went to architect and mason Pierre Couturier. The property originally comprised some 3,891 square metres (41,880 square feet) including the residence, a fruit orchard, a kitchen garden and a large ornamental garden. But new streets and residential buildings gradually encroached on the land as the city of Montréal expanded. When Claude de Ramezay died in 1724, his widow leased the château to the government, which used it as a secondary residence for the intendants of New France when they were staying in Montréal. The château remained in the Ramezay family until 1745, when it was acquired by the Compagnie des Indes occidentales, which undertook a major expansion of the building in 1756. In the 18th and 19th centuries, the château was put to various uses that added to its historic significance. 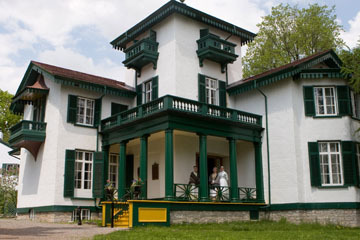 It served as a residence and office for the British governors of Lower Canada. At various times it held the Montréal Courthouse, the Court of Magistrates, the Ministry of Public Education, and, in the late 19th century, the Montréal faculties of medicine and law of Université Laval. In 1775, when the British surrendered Montréal during the American Revolution, the Continental Army established its campaign headquarters in the château, and it was here that Benjamin Franklin and two other American emissaries vainly tried to rally the representatives of Canada to the cause of the Thirteen Colonies. In 1893, the future of the Château Ramezay was in doubt when the Québec government announced plans to auction off this building at the corner of Rue Notre-Dame and Rue Saint-Claude. Land in downtown Montréal was highly coveted, so it was feared that the building would be demolished if the property were sold. But the Antiquarian and Numismatic Society of Montreal (ANSM) — founded in 1862 for the purpose of heritage conservation — persuaded the City of Montréal to acquire the château and the surrounding land. The City then agreed to lease the building to the society, which in turn agreed to make it into a museum of Canadian history, open to the public free of charge. 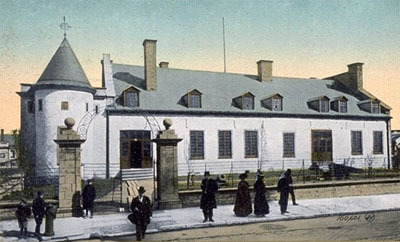 The museum opened its doors on 1 May 1895 and is now the oldest private history museum in Québec. The museum’s earliest exhibits consisted of a national portrait gallery and individual galleries on themes such as Québec’s Indigenous peoples, explorers, soldiers and religious orders. The château also housed the first public library in Montréal, its holdings contributed by the members of the ANSM from their private collections. In 1929, the City of Montréal transferred ownership of Château Ramezay to the ANSM in exchange for a donation of 10,000 pounds sterling, which enabled the City to open its first municipal library. That same year, at the request of ANSM president Victor Morin, the Québec government designated the château a historic monument — the first building in Québec to be so designated — thus ensuring its preservation. From 1902 to 1904, decorative turrets were added to the building, while the brick wing on Rue Saint-Claude, the caretaker’s house, and an old storage shed were demolished. The château was electrified in 1905. Over the years, and especially since the 1970s, a great deal of work has been done to restore the building’s original appearance. 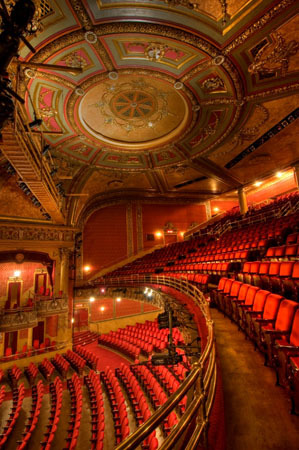 From 1997 through 2010, Château Ramezay underwent further, extensive renovations under an agreement between the City of Montréal and the Québec Ministry of Culture and Communications. In 2000, the Governor’s Garden was planted and landscaped in the French formal style on a parcel of land formerly occupied by a parking lot. Once the ANSM took ownership of Château Ramezay, it became a showcase for the culture of Montréal. The château’s holdings now comprise some 30,000 items, including 2,000 works of art (paintings, prints, engravings and other genres), two collections of ethnological artifacts (one Aboriginal, the other relating to settlers of European origin) and a coin collection. Some 2,000 photographs (many of them from the studio of William Notman) bear witness to the daily lives of Montrealers in the 19th and 20th centuries, while the library’s shelves hold some 13,000 items, including antiquarian books, novels, essays, old magazines and newspapers. The château’s manuscript archives, comprising 4,000 items, are held at the Vieux-Montréal archive centre of Québec’s Bibliothèque et Archives nationales (national library and archives). All year round, the museum welcomes visitors to view permanent and temporary exhibits from its collections. The Governor’s Garden is open from June through Thanksgiving. Though it is not a precise reconstruction of the gardens of the nobility of 18th-century Montréal, it is faithful to their spirit (see Historic Gardens). Following the French formal model, the Governor’s Garden is divided into three sections of equal size: an orchard, an ornamental garden and a kitchen garden. The garden as a whole is surrounded by aromatic and medicinal herbs, and a fountain occupies the central space, underscoring the historic importance of Montréal’s water supply. 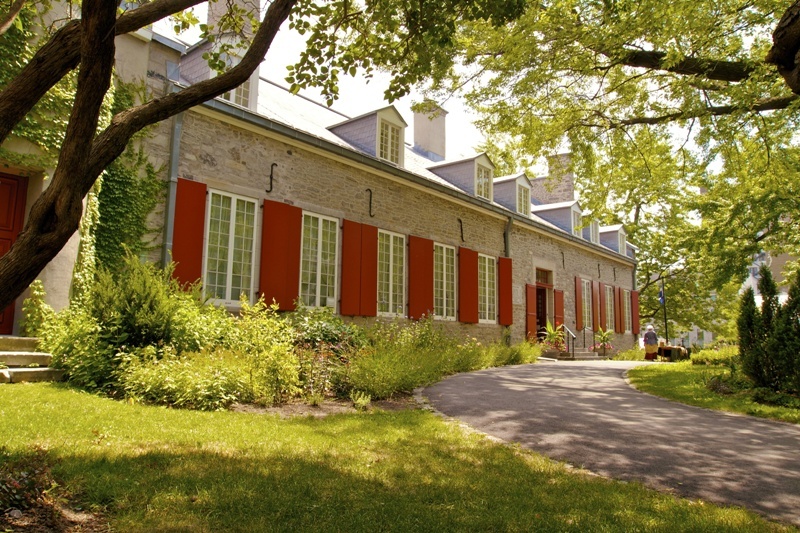 The Château Ramezay Historic Site and Museum is a not-for-profit organization that carries out its mission with the support of volunteers and many partners, including the City of Montréal, the Conseil des arts de Montréal (Montréal council for the arts), the federal Department of Canadian Heritage, and the Bibliothèque et Archives nationales du Québec. An eloquent witness to the history of Montréal and Québec, the château was added to UNESCO’s list of World Heritage sites in 2010. It is one of only 14 Canadian sites to have this distinction. The château was also designated a National Historic Site of Canada in 1949. Martin Fournier, "The Château Ramezay Museum, Montreal," Encyclopedia of French Cultural Heritage in North America. Château Ramezay Historic Site and Museum of MontrealThe château's official website.